Discussing your retirement options can be stressful, time-consuming, and downright confusing. 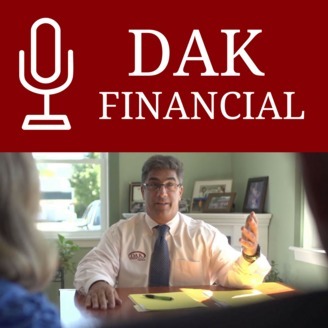 Here at DAK Financial Group, our primary focus is you and your needs. Join me, Dave Kutcher, and my team as we navigate the process of determining goals, strategies, and what’s best for you and your family when it comes to your retirement. We specialize in helping you get the most out of your money long-term with safety, growth, and control. So, grab a cup of coffee and take a seat. The Captain is in! 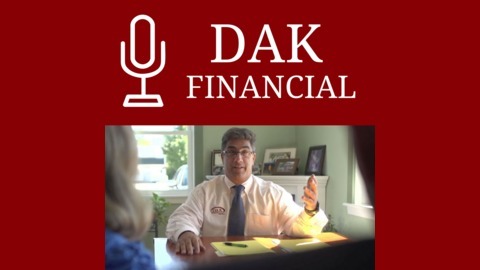 This week, Dave explains what he means by "modern day life insurance" and why it's important for you to know about it. 1. What in heaven's name is Modern Day Life Insurance? What makes it different? - Makes use of the economic value of your death benefit while you are alive - Can be used as a “living benefit” 2. What are some options with Modern Day Life Insurance? - Long-term care benefits - Critical care benefits - Terminal illness care benefits - American Medical Association - Indemnity plans - triggered event 3. Is it hard to qualify for these types of programs? - No – usually you just need documentation from your primary physician 4. If I do qualify for them are there any restrictions? - No – your doctor says "you need this benefit", and the check is cut to either you or your financial power of attorney How to get in touch with us If you want to know more about what DAK Financial Group can do for you, send us a message on Facebook or email us here. We'd love to hear from you! You can subscribe, rate, and review the show on iTunes, Spotify, Stitcher, Google Play, Google Podcasts, or your favorite podcast app.